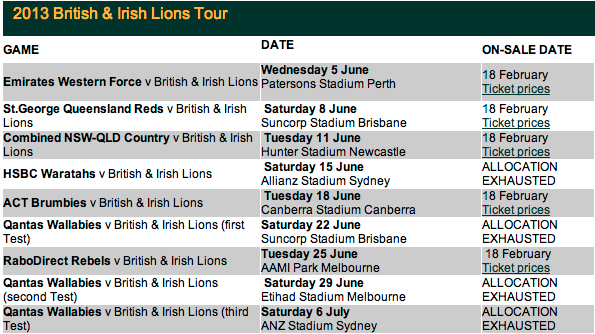 This year, the British & Irish Lions return to Australia for a series that has been 12 Years In The Making. They will play nine games, including three Tests and will be hungry to revenge the hurt of 2001. The Lions are playing throughout June and the beginning of July, so if you’re a true Rugby fan, now’s your chance to snap up a ticket before they’re gone! Click here for full game and ticket details. If you’re planning on taking a trip to Australia then don’t forget to apply for an Australia ETA Tourist visa to allow you access into Australia. Find out more about the ETA Visa here. Posted on Friday, May 3rd, 2013 at 9:42 am	/ Visiting Austrailia.